Home Big Opinions The Not-So-Secret Secret is Out! Rassie Erasmus is the new Bok coach. 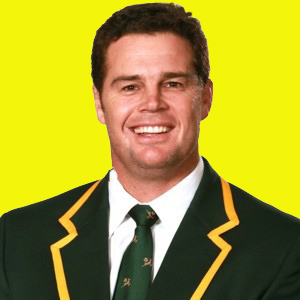 Johan (Rassie) Erasmus was born in the town of Despatch, an industrial town neighbouring Port Elizabeth, some 45 years ago. He is one of many sporting greats to have their roots in Despatch, including Springbok great Danie Gerber and Slow Death Rudie Koertzen, the international cricket umpire known for his slow, deliberate, and inevitable raising of the finger to send a batsman back to the pavilion. Erasmus will lead a streamlined Springbok management team until the end of the 2023 Rugby World Cup. His Springbok coaching duties will be combined with his current role as Director of Rugby at SA Rugby. 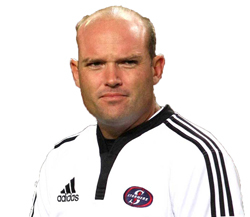 Nienaber previously served as the Western Province and Stormers Defence Coach, from 2008 to 2014, where he built a reputation for producing teams with rock solid defence. 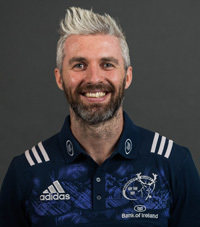 He served a very short stint as Springbok defence coach under Allister Coetzee before joining Erasmus at Munster in 2016. Stick was a member of the 2016 Springbok coaching staff before his involvement with the Junior Springboks last year. He is a young coach with much potential, but little experience and is obviously being groomed for greater things. 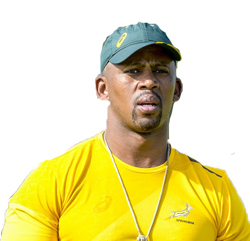 Two other experienced former staff members return to the new-look Springbok management set-up, namely Charles Wessels (Head of Operations) and Rene Naylor (physiotherapist). Both of them performed duties for the Springboks at the 2011 and 2015 Rugby World Cup tournaments, and bring with them a wealth of experience. The first task awaiting Erasmus will be to prepare the Springboks for a once-off match against Wales in Washington DC and a tough three-Test Incoming Series against England. Next articleSuper Rugby: The Reds Win A Game – And The Day Rugby Died As A Contact Sport. This is really confusing: Rassie is Director of Coaching at SARU. He now has a contract lasting until 2023 as Springbok Coach. So which is he? Just as importantly, what are the terms of both (or either) roles? Does he have performance clause and will he conduct his own reviews? Which one of him will be responsible for transformation? Rassie has said that the Springboks can win the next RWC, what happens if he fails? He will fulfil both roles, which is a bit weird. I do like the contract to 2023! This is a first for South Africa and we will, hopefully, see some continuity at last. Shades of Steve Hansen, Micheal Cheika, and a host of Six Nations coaches. Transformation cannot be the coach’s problem, and I do not see how it can be the Director of Rugby’s problem either. It has to be a management problem at the highest levels, driving a well structured, properly funded, properly equipped project with the assistance of the National Department of Sport & Recreation as well as schools rugby administrators across the country. It cannot be the job of the man or men tasked with producing a Springbok team. Period.